Many college admissions applications require a letter of recommendation be included with all submissions. The college admissions board will learn all they can about you from your application and personal essay, but they are also interested in what others have to say about you. A good letter of recommendation can dramatically increase your chances of being accepted to the college of your choice, so it is important to choose your letter's author wisely, and to provide them with all the help and information they need to present a solid recommendation. Choosing the right person to write your letter is the most important, and sometimes the most difficult, part of the recommendation process. Choose someone who knows you well, can speak of your academic strengths and personal character with authority, and can express themselves well in letter form. You may choose a respected teacher, high school counselor or coach, or even a former or current employer. If they are an alumnus of the the college in question, that will add even more weight to their recommendation. But the most important thing is to select an individual who will present a well written letter of recommendation that will place your admissions application at the top of the accepted pile. When requesting a letter of recommendation from someone, always be sure they will be able to submit your letter before the application deadline. There is no need to be pushy about this. Simply ask if they have the time, considering their other commitments, to devote to writing a solid letter for you in a timely manner. Let them know that while this letter is important, you are aware of their schedule and commitments, and realize they are doing you a very great service by taking the time to write your letter of recommendation. A letter of recommendation doesn't need to be an overly long or complex document. It just needs to show the admissions board that the student has been honest on their application, and that they will be an asset to the university's student body. By putting their name to the recommendation, the letter's author attests to the accomplishments, character and value of the student in question. A letter of recommendation should never be more than a page or a page and a half, and should include information on the student and the author's relationship. How do you know one another and how does your relationship allow the writer to speak knowledgeably about you? The letter should speak of your accomplishments, both academically and personally, and should discuss your diligence, motivation and drive to succeed in an educational setting. Finally, the letter of recommendation should include a statement from the author detailing why they are willing to recommend this student to the college. What is it about you that will make you an asset to the university's student body? Why do you deserve to be accepted to the college, over and above all of the other applicants? Once you know what needs to be included in your letter of recommendation, you can help your chosen writer compose a compelling letter. 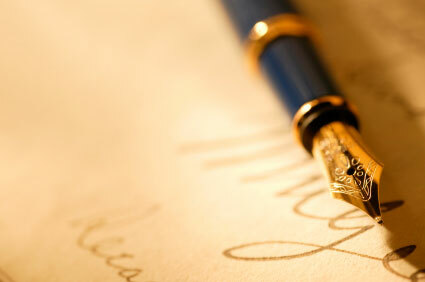 To best aid your letter's author, provide them with the following. A copy of the college application. A brief summary of why you want to attend this college. A brief resume of your accomplishments. By presenting your letter's writer with some organized information about yourself, you save them considerable time, and can help them to make the letter more detailed and personal. The more your letter's writer knows about you, the better the letter of recommendation will be.